Home Politics WE SHALL CONTINUE TO PRIORITIZE SECURITY IN KOGI STATE – Yahaya Bello. WE SHALL CONTINUE TO PRIORITIZE SECURITY IN KOGI STATE – Yahaya Bello. 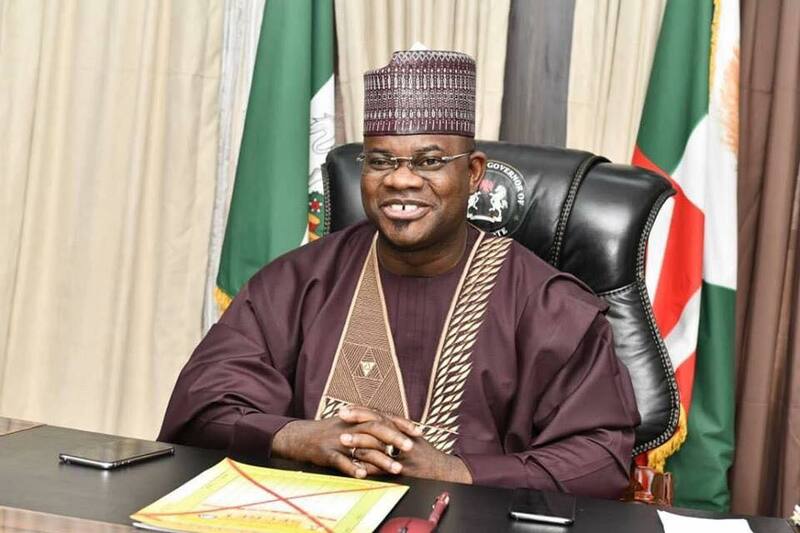 Kogi State Governor, Alhaji Yahaya Bello, has assured the people of Omala local government area of the state of his determination to work with security agencies in the state to return peace to the troubled areas in the local government. Four persons, three civilians and a police officer were reportedly killed during attack on two communities by suspected bandits who were said to have invaded Bagana and Patani in Omala local government area of the state. Governor Bello who was billed to travel with President Muhammadu Buhari to Jordan to participate in the World Economic Forum on the Middle East and North Africa holding at the Dead Sea had to withdraw from the presidential entourage following the attacks on communities by the bandits. The governor who spoke yesterday through his Director General of Media and Publicity, Kingsley Fanwo, said troops have been deployed to the troubled spots to return peace to the area. According to the governor, the Kogi State government will “explore every legal means to ensure that the incessant breach of peace in the area is permanently laid to rest”, adding that those behind the “inhuman attacks will be made to face justice”. He continued: “The preliminary reports have shown that, though we lost lives in an unfortunate manner, our gallant military and other security agencies are gradually restoring law and order to the area. “Our administration has invested so much to maintain peace and security in the state. “We urge the people to maintain calm and give peace a chance as Government will do everything to soothe the pains of those who lost either lives or property in the unfortunate crisis. “It is the determination of the state government, not only to restore peace to the area, but to find a lasting solution to the incessant violence in the area. Criminals will never find a place in our dear state anymore”. The governor warned against reprisal attacks, assuring the people that the security agents on ground are capable and determined to restore permanent peace in the area.